We are honored to be able to give back to the community by being a part of the See Kids Soar program in which we provide free eye care and glasses to children in need. 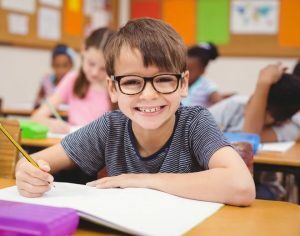 One in four children in the United States has a vision problem that affects their ability to learn, and many don’t have access to the vision care they need. In an effort to help bridge the gap, Specs Appeal has chosen to be part of this program in partnership with the Essilor Vision Foundation. Through this program, Specs Appeal in Decatur will offer eye exams and glasses at no-cost reserving several appointments each month for this cause. The Changing Lives Through Lenses™ program is specifically designed to help provide vision care and eyeglasses at no charge to people at or below the poverty level without vision insurance. The program does not provide no-cost eyeglasses or vision services to consumers with the ability to pay. These charitable services are limited based on eligibility and restricted to predetermined community outreach. To learn more or make a donation to the foundation, please visit the Essilor Vision Foundation.